At first glance, this flag, printed on wool with 35 stars, seems to be a fairly typical printed parade flag of the period. In truth, the flag is anything but typical. This rare flag is a U.S. national pattern as prescribed in General Order No. 4, Headquarters of the U.S. Army, dated January 18, 1862, issued by Major General George B. McClellan. Camp colors were the smallest military issue colors and were designated to be flown in camp outside of headquarters tents and buildings. Because they were regulated by the General Order, the few camp colors that have survived have the same general appearance whereby the hoist of the flag consists of a sleeve that is sewn from the canton and stripe material. All examples I'm aware of are made of high grade press-dyed wool bunting. One of the attributes that is most appealing about this flag is that it shows clear indications that it was tacked to a staff and sustained wear from being flown--evidence that it was used by a unit in the field and not merely stored at a depot. The flag was found in New York State and probably belonged to a New York Regiment. 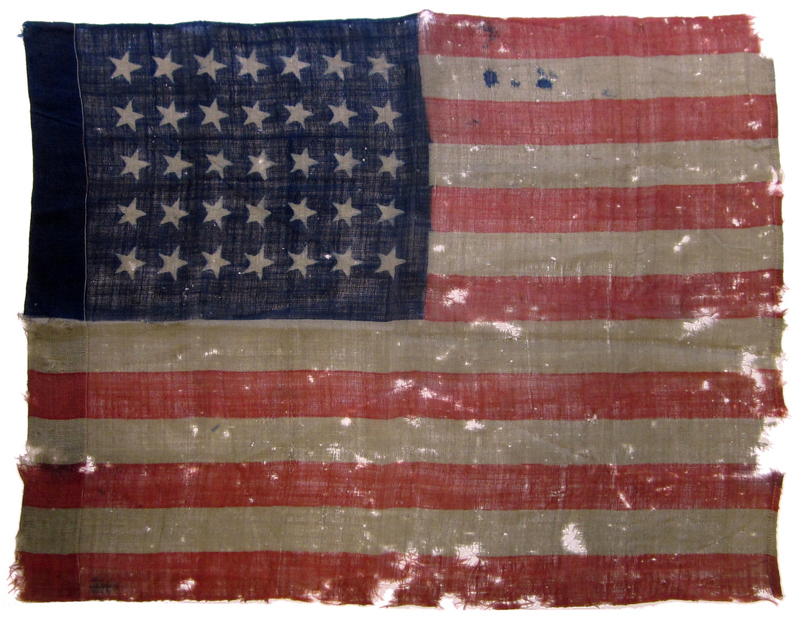 There are several camp colors in the New York State Battle Flag Collection, and one pair in particular, carried by the 128th New York Volunteer Infantry Regiment, is of identical design to this camp color. 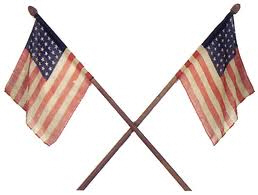 This flag was most likely manufactured by William F. Scheible & Company of Philadelphia, Pennsylvania. Another known camp color of identical design, star count, star configuration and size had a paper label glued to its staff that read "One Camp Color / From Wm. F. Scheible / Philadelphia, PA. / No. 110 Contract January 2d 1865". Three thousand camp colors from Scheible were contracted by the Cincinnati Depot on January 2, 1865, most likely all of them in this pattern. Only a small handful of any camp colors are known to have survived to the present day, most in the collections of states and institutions. manufactured by William F. Scheible & Co.